Native to British Columbia are approximately 250 species of bees, but none of them are as social or as effective pollinators/honey producers as the honey bee which appeared in North America along with the first European settlers. As many of you already know, bees play a large role in approximately 30% of the production of foods we love including apples, berries, cucumbers, tomatoes and watermelons. The list is a very long one and we encourage you to look up some of your favourite foods to find out more. Pollination occurs while honey bees forage for nectar. Although honey bees feed pollen to their brood (baby bees) it is the sweet nectar that feeds the colony all year long once it’s been transformed into honey. Nectar is found at the base of many flowers in sites called nectaries. While bees search for this sugary treat their hairy bodies become covered in pollen grains which they transport between flowers before combing and packing the small grains into neat pods which they carry on their back legs called corbiculae or pollen baskets. Pollination by the honey bee is critical to the fruit production in the Fraser Valley. We have a number of local pollination contracts in blueberries, raspberries and cranberries annually. We are working together with other Fraser Valley beekeepers who are also involved in pollination. The worker honey bee has a marvelous long, flexible tongue called a proboscis. You might think that this makes it perfectly suited to extracting nectar from all plants, but this isn’t always the case. Did you know that some flowers are sterile? The mophead hydrangea is a good example of a flower that has nothing to provide pollinators in the garden. Other flowers like those from Rhododendrons and azaleas make toxic honey, not only to humans but to bees as well. Others still may provide rewards, but are considered invasive. Bees favourite colours are blue and yellow in the garden. Heirloom or wildflowers (dandelions are especially wonderful for bees in the early spring) are always good choices as well as different types of clover. A variety of plants which bloom at different times of the season is also recommended. In the “further reading” section see more on planning and planting an ethical, pollinator friendly garden or come to our store and see for yourself and ask us why we plant what we do. Likely the biggest challenge facing honey bees is the use of pesticides. 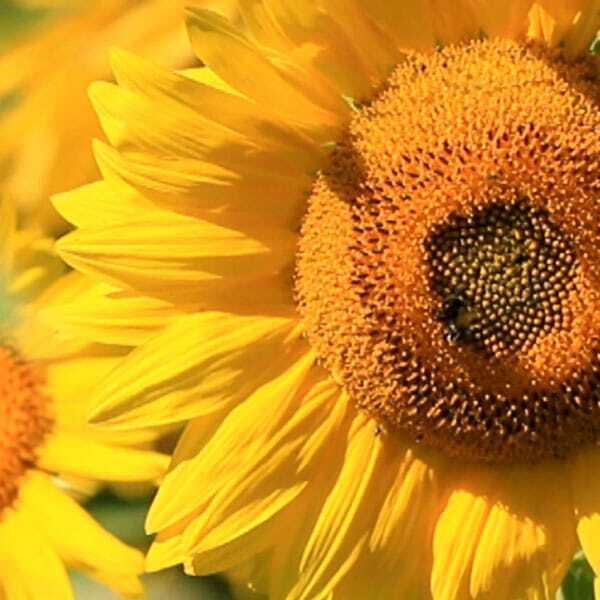 Not only can pesticides kill bees on contact if used while flowers are in bloom, but they can accumulate over time in pollen, in bee equipment, and in the much needed fresh water bees use to cool their hives. known species of bees in the world. rather than the visible spectrum. the waggle dance = food is far away. using their position relative to the sun. the rest of her life in the darkness of the hive. Queen bees can live up to five years! ensuring that it will never ferment. It sometimes seems that we have been keeping bees for a very long time. Bees are not native to North America but came with the early settlers. The first bees in British Columbia came in the 1850’s. The history of beekeeping by humans, however, goes back thousands of years. While depictions of people collecting honey from wild bees have been found, dating back approximately 10,000 years, the earliest dated evidence shows that Neolithic farmers in North Africa began actively practicing beekeeping in pottery vessel about 9,000 years ago. We also see evidence of sophisticated apiculture in many of our ancient civilizations – in ancient Greece, Egypt, Israel, China, Rome and more, and the practice continued to spread from that time. People sometimes romanticize about the old skep type hive but it really has no practical use anymore. Honey collected from skeps was difficult to extract, and the bees were often killed in the process. In addition, the fact that skeps had to be waterproofed each year using a plaster of fresh cow manure was not good marketing. 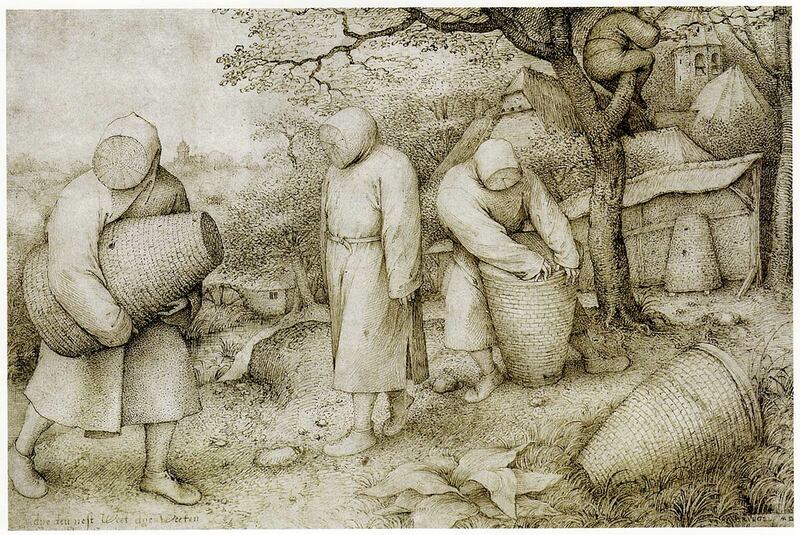 During the 17th century, the transition to a less destructive form of beekeeping started to take off. Methods using moveable wooden bar structures were explored (with some testimonial evidence suggesting such designs are up to 3,000 years old, having already been in use in Greece). The perfection of the moveable comb hive is recognized to have been achieved by the American Lorenzo Lorraine Langstroth, in the 19th century. Langstroth, an American clergyman, discovered the concept of bee space in the 1850’s. This led to the idea of movable frames which can be put into a centrifuge for honey extraction. Now we use two main sizes of bee boxes and they are stackable to allow for expansion of the hive as summer progresses. Before the introduction of varroa mites bees did very well in North America. They were cheap and were often shipped by mail order throughout the continent. They were so cheap that many beekeepers killed off their hives each fall rather than feeding bees for the winter. This completely changed in the 1980’s. Varroa mites did such devastation that the border between Canada and the United States was closed in 1987. Replacement bees now had to be shipped from Australia or New Zealand and the prices skyrocketed. Replacing bee stock each year was no longer an option that made any kind of economic sense. 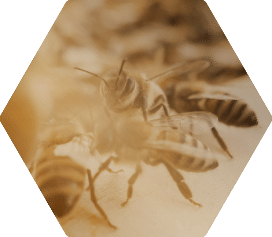 Because bees attacked by varroa mites do not thrive and are susceptible to new diseases, a greater knowledge about bees and a closer monitoring of hives has become necessary. New pesticides can have long lasting toxic effects on bees if they are improperly used. 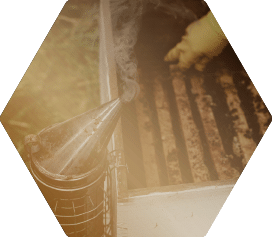 The challenges for beekeepers continue to grow, but generating bee stock and queens that are environmentally suited for our local environment, and supporting other beekeeers with similar goals, has become another passion of ours. If you have an interest in learning more about the fun of bee keeping please contact us. We would be pleased to refer you to a local bee club and answer any questions that you might have. You can also search the B.C. Honey Producer’s web-site for contacts. 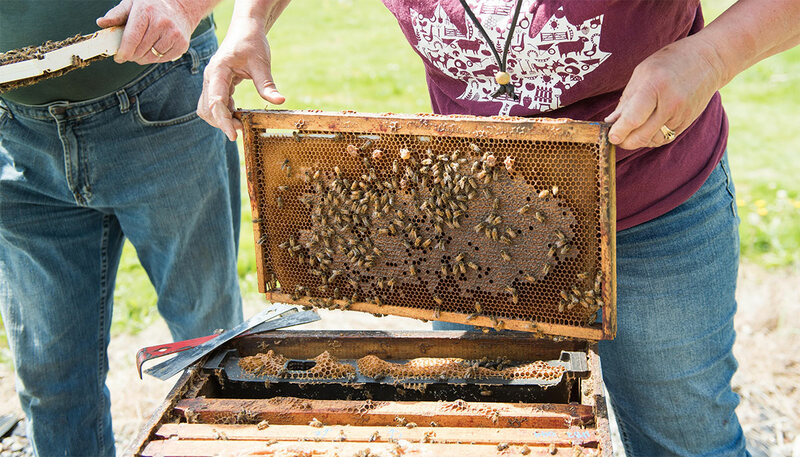 Try our informative “From the Hive to the Table” educational tours offered April-Sept. Meet our busy bees, sample our amazing honey products and enjoy learning in our natural setting. For more info contact us. The Ministry of Agriculture web-site offers some very useful information on bees and beekeeping. The Canadian Honey Concil provides general information and resources for the public as well as educational kits for teachers.